Bhalchandra is the ancient Sanskrit boy name which literally means having the moon on forehead. The name Bhalchandra is derived from Sanskrit - a combination of Bhal (forehead) and Chandra (moon) to form Bhalchandra. Together, they indicate having the moon on forehead. Mention of Bhalchandra (भालचन्द्र) is found in Monier Williams' Sanskrit English Dictionary where this word refers to having the moon on his forehead. 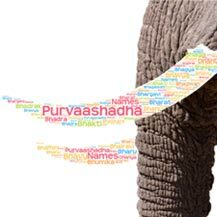 Bhalchandra finds reference in Puranas (पुराण s) in which Bhalchandra is the name of Ganesh. The name Bhalchandra is not popular in USA as indicated by the absence of the chart. 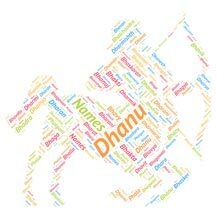 Bhalchandra is not a popular name in India, according to the social media profile counts. Here Bhalchandra is used by mere 760 people in India as the name of their babies. As far as we can tell, Bhalchandra is sweet and unique name. Bhalchandra has a beautiful meaning attached to it. 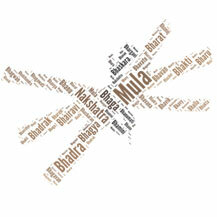 Name Bhalchandra have mythological significance. Bhalchandra is not popular in the USA, because it is long with 4 syllables and difficult to pronunciation too. Bhalchandra Vanaji Nemade is a Marathi writer from Maharashtra, India. Bhalchandra Yadava is an Indian politician for the Khalilabad in Uttar Pradesh. Bhalchandra Vaman Kelkar was a Marathi writer and actor, from Maharashtra, India. Bhalchandra Kadam is a Marathi theatre and film actor. Bhalchandra Babaji Dikshit was a renowned Indian physician and pharmacologist. He was the first director of AIIMS, New Delhi. Dr Bhalchandra Mungekar is an Indian Economist and a Rajya Sabha member. Bhalchandra Pendharkar was a Marathi stage actor, singer and drama producer. Bhalchandra Panchwadkar, is a Marathi singer and music director. Bhalchandra Pandharinath Bahirat was a philosopher and educationist.